There has been a discussion about enabling the auto power on feature of the Jetson TX2 development kit on devtalk.nvidia.com. 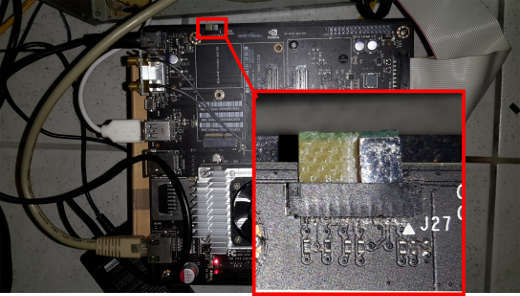 The solutions discussed there involved using a additional micro controller or soldering directly on the quite expensive board which is not desired by quite some users. This article will show a fairly simple and quite safe method to use the auto power on feature without additional circuitry or soldering directly on the board. According to the Developer Kit Carrier Board Specification the auto power on feature can be enabled by shorting the CHARGR_PRSNT pin (pin 1) of the charge Charge Control Receptacle (J27) to ground (pin 5). This is fairly hard to achieve without having the appropriate connector or soldering the board itself. Since the pins 2-4 also are input pins it is safe to short all these pins (1-4) to ground. This can easily be achieved by using a small piece of a copper plated circuit board matching the receptacles dimensions. 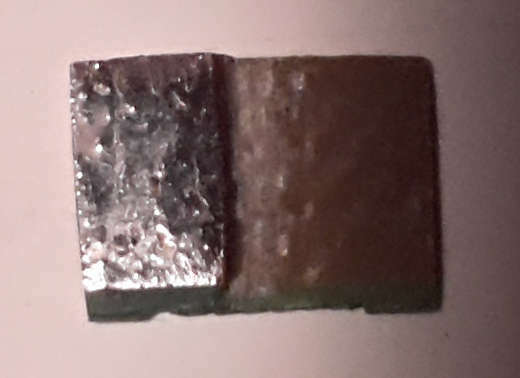 The piece of circuit board has to be cut and grinded to proper dimensions. A board of approximately 6mm x 8mm x1 mm size is fine. Afterwards the copper plating has to be grinded off in the area that can get contact with any other pin than the five mentioned pins. It is advisable to check this with a Multimeter while moving the board left and right in the receptable before attaching power. If you damage your board due to this procedure, you are the only one responsible. The resulting board is being shown below. With the crafted piece of circuit board inserted into the Charge Control Receptacle the Jetson TX2 now boots directly after applying power. This has been tested with two different development boardw. For the older board (Revision B04, SATA port facing up) it worked, but it did not work for the newer (Revision C02, SATA port facing to the side) one. So your mileage might vary. A while ago I noticed my gnome-sensors-applet displaying wrong units for some sensors. I.e. it displayed an “A” next to a fan sensor value. Since I had the same problem once before I remembered quickly how to solve it. Because I did not find anything about this problem in the web, I decided to write this post. 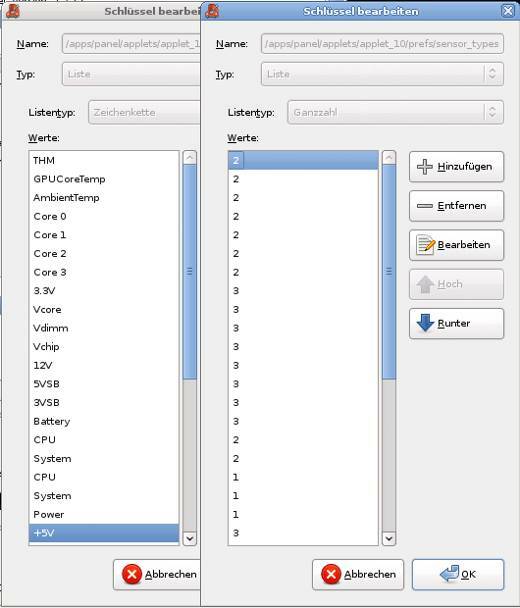 To change the applets configuration to the right sensor types start gconf-editor. Search for the key name sensors_applet_version. At the same location you will find the properties of the sensors applet. Then open (doubleclick onto each) the keys ids or labels and sensor_types edit key pages and move them next to each other to identify which sensor type entry belongs to which sensor. Now change sensors with wrong type settings to the correct ones. Then from console issue a killall gnome-panel to force the configuration to get reloaded. Afterwards you should get the correct unit being displayed next to your sensor data. The device of course works flawlessly using Windows. The situation under Linux is a bit different, due to missing driver support from the manufacturer, as usual. Sadly this also prevents the use of compiz, hopefully Nvidia fixes the incompatibility between stereo and the composite extension some day. For starting the xserver i use the following little script, which opens 2 xterms and starts the program (given as parameter with arguments) in one of them. usb 2-2: Manufacturer: Icuiti Corp. I was able to get mplayer to play on the device by setting the output device to hw=1,0 . Sadly the mixer does not seem to work. At least the mixer levels are not controllable. Perhaps any alsa developer has an idea for this? It is even more important since the mixer control wheel at the device freezes after three steps when using linux. 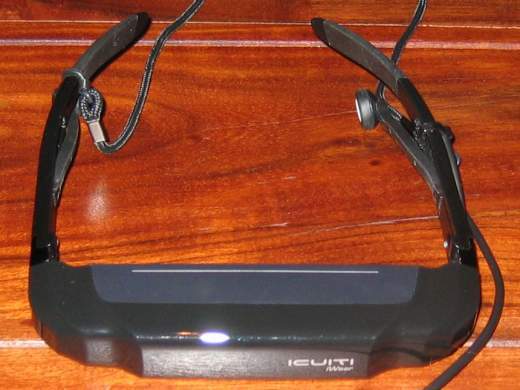 More important than having controllable sound is to get the integrated headtracking to work. There is a non-working driver at vuzix forums. 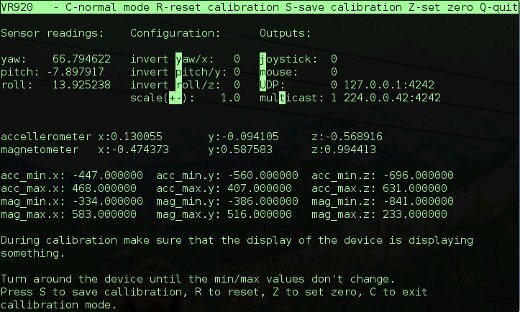 At least it can read the sensor data from the device but does not seem to handle the data correctly. I will look into this soon.